Whenever Snowy Owls appear in the Lower 48 States, people get excited. Snowy Owls are magnificent—so superlative in every way, and so tied in with popular culture thanks to Harry Potter’s Hedwig—that any report attracts birders, photographers, and a lot of people who otherwise aren’t even interested in birds. When I started birding and took my first ornithology class in 1975, I learned that Snowy Owls are non-migratory arctic birds that retreat south only when the population of their dietary staple—lemmings—crashes. We were taught as fact that few if any of the ones we see in the south manage to return to the Arctic, and that most or even all of them are starving. This was probably a fine working hypothesis, but has been thoroughly disproved. 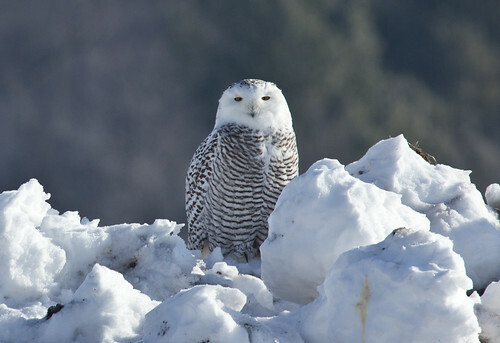 David Evans started banding and following Snowy Owls in the Duluth-Superior Harbor in 1973. 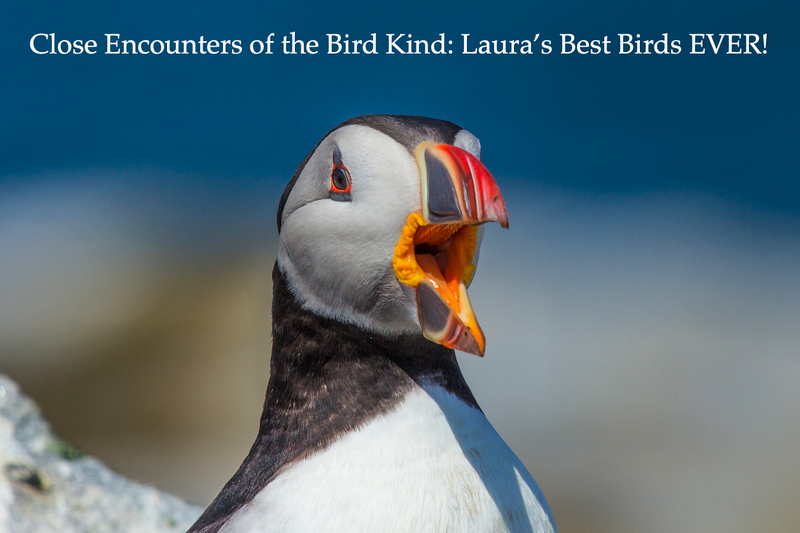 He is a co-author of the newly revised Snowy Owl entry in the Birds of North America, published by the Cornell Lab of Ornithology and the American Ornithologists’ Union. David found that Snowy Owls were successful at hunting in our area, and over the years, he learned that some banded individuals returned two, three, or even four years in succession. Results of his work weren’t disseminated far and wide—he started long before social media was in the picture. A healthy Snowy Owl being tracked by David Evans in Superior, photographed this January. Snowy Owls also often appear on airport runways—an expanse of open land visually similar to tundra. Logan International Airport worked out with Massachusetts Audubon and bird banders a project for capturing and removing these owls to safer places. This program has also provided data about the birds’ health and verified that many of them do just fine down here, and some return year after year. But again, word of this didn’t get out with regard to the overall health of Snowy Owls in many years, and people continued to believe that most or all of the Snowy Owls that appear down here are weakened and emaciated. During the significant Snowy Owl “invasion” during the winter of 2013-14, some researchers banded together to affix GPS transmitters on some Snowy Owls to follow their individual movements in a project they cleverly named Project SNOWstorm. 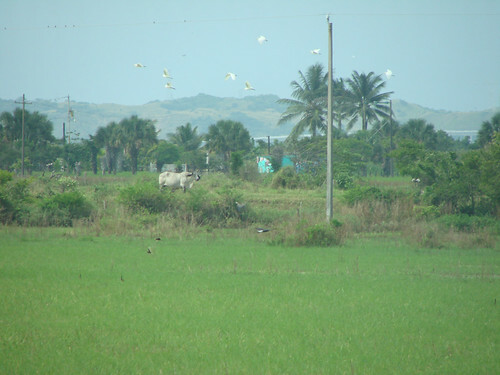 Some of these researchers are well known in both the birding community and the larger world. Any huge research project about such a popular and charismatic species, with such charismatic and media-savvy researchers trying to garner essential funding is going to catch the public eye, and is going to be covered by the news. This has been a Good Thing. The trick is that when they got the word out that, during the first two years they were working on this, the birds they were handling were mostly in great shape, the media and many birders jumped to the conclusion that all or most of the Snowy Owls that appear down here from year to year are healthy. Ironically, some self-serving photographers using unethical methods such as baiting Snowy Owls to draw them closer, birders getting too close when chasing down lifers, and bird guides bringing hordes of other people to see them, had long been justifying their actions by claiming that the birds were doomed anyway, so if a bird died as a result of their activities—well, it was going to be dead soon anyway. Now they took a 180-degree turn, saying the birds are perfectly healthy, so there's no reason to worry about disturbing them. It’s of course true that Snowy Owls need fuel to make such a long, arduous journey in the first place, so they must have had at least some successful hunting along the way, but it’s also true that individual migrants of all kinds of species use up all their physical resources making a long flight, and some end up utterly depleted and dying. Rehabbers have long known that many or even a majority of the Snowy Owls that are brought to them in some invasion years are significantly below normal weight. Some are, indeed, starving. This can be a secondary result of injury, pesticide exposure, disease, or other problem associated with a long journey and trying to hunt in unfamiliar territory. Once they arrive, some individuals can’t get enough food, sometimes because there isn't enough food available, sometimes because they cannot find a safe place to hunt alone (Peregrine Falcons, ravens and crows, and acquisitive birders and photographers displacing them), and sometimes because the long, arduous journey through unfamiliar areas simply did in a very old or very young bird. But in some years it happens like people used to think it always happened—lemming populations do crash periodically, and those years are, indeed, sometimes associated with both “owl invasions” and a large number of starving owls. This year Snowy Owls are already being reported in big numbers in Michigan, Wisconsin, and Minnesota. David Evans, the researcher who has been banding them in the Duluth-Superior area for over 40 years, brought one emaciated bird to Peg Farr, director of Duluth’s Wildwoods Wildlife Rehabilitation Center, and told her that in his experience, in years when owls first start appearing in November and December, most of them are healthy, but when they first start appearing in October, he’s long noticed that many of them are stressed, injured, or even starving. 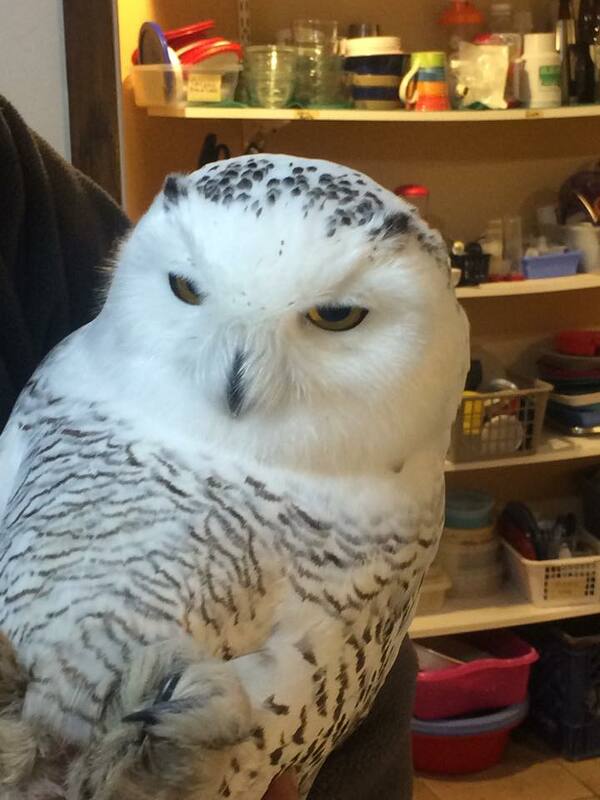 One of the emaciated Snowy Owls at Wildwoods. On the outside, they can appear fit and healthy even when they weigh less than half a healthy weight! This is the tenth autumn in which Peg has been taking in birds, but just the first October in which she’s had to deal with Snowy Owls—and she’s had three already. As far as she could judge by plumage and size, all were young males. And each weighed less than 900 grams—that’s less than 2 pounds, when healthy males should weigh 3 ½ pounds. Marge Gibson of the Raptor Education Group, Inc., in Antigo, Wisconsin, has received four so far, one dead on arrival. One young male weighed an astonishing 815 grams—only 1.8 pounds. And a young female weighed 1000 grams, or 2.2 pounds, when healthy females should weigh more than double that. Marge had news of seven others that were found dead in fields. Marge and Peg post information about the animals they’re treating on their blogs, and Marge also posts on the Wisconsin Birding Facebook page. 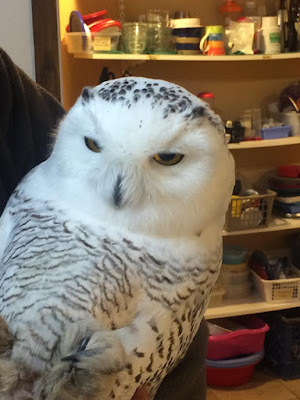 Instantly, people who have been keeping abreast of developments for Project SNOWstorm were sending these experienced and knowledgeable wildlife rehabilitators cranky and sometimes outright rude messages that it’s a “myth” that owls are starving, even as Marge and Peg could feel in their own hands the atrophied breast muscles and exposed keel bone beneath the feathers of obviously emaciated birds. These people were parroting a warped interpretation of the great new information Project SNOWstorm has been gathering. Scientists tracking healthy Snowy Owls in the past two years have proven that many of the ones that retreated down here were healthy. Of course, those two years happened to coincide with an abundance of food on the tundra. Project SNOWstorm necropsies on tracked owls that died showed that they'd been killed due to clear factors other than starvation. The old conventional wisdom that all the Snowy Owls that appear down here are starving has long frustrated me, and I'm glad Project SNOWstorm has had the public forum to clear that up. But the new conventional wisdom—that they’re never starving—is equally incorrect. There’s an old fable about blindfolded people examining an elephant, each learning a vast amount of information about one tiny part, and each coming to an entirely different conclusion about the entire animal. 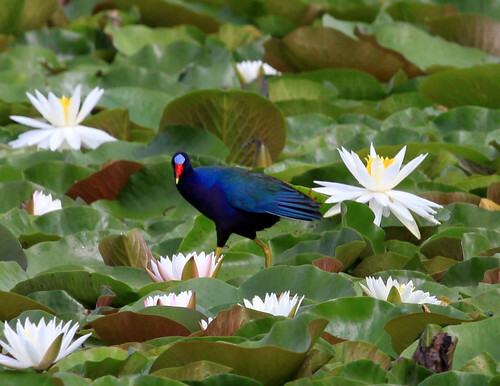 Rehabbers and field biologists each have specific areas of expertise with little overlap. It will take open sharing of information between them to clear this up. 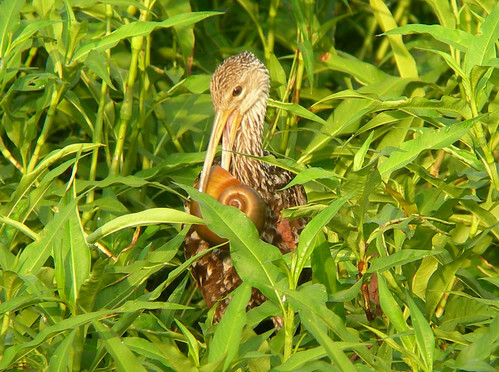 In my experience, most rehabbers know a lot about wild birds, and are extremely happy to get more information from field people—it helps inform their treatment so they can provide as much of a natural diet and environment as possible. Meanwhile, more and more field biologists are pooh-poohing the work of rehabbers, and ignoring the wealth of information they could be providing. Some field biologists believe that helping individual animals is worthless from a conservation standpoint and takes valuable energy and resources from work that helps whole populations. Others discount the value of individual animals altogether. My own background as a rehabber certainly gives me a bias, but objectively, rehabbers have furnished invaluable information and services essential in reintroduction programs for endangered species. Their observations about animal behavior and adaptability have helped inform our increasing understanding of avian intelligence. Techniques they refine inform the care given to animals by laboratory biologists. Rehabbers are required to keep statistics about the weight and condition of animals on admission, and what circumstances led to their being admitted. Because they receive so many birds from diverse segments of the general population, their data can furnish a lot of valuable information about “birds in trouble,” providing an important early warning system regarding pesticides and other dangers. Rehabbers and field biologists have both been essential partners in discovering virtually everything we know about lead poisoning—a huge conservation issue for waterfowl, including Trumpeter Swans, and raptors, including Bald Eagles. Rehabbers were in the first line of defense in figuring out which species were most vulnerable to West Nile virus. And in the peculiarly complicated case of Snowy Owl movements, statistics regarding the differences in the timing and birds’ condition on arriving at rehab centers from year to year can help fill in some of the many holes in our understanding of the birds’ situation in different kinds of invasion years. 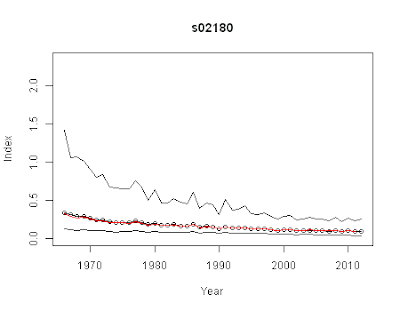 And there are, indeed, different kinds of invasion years. In normal years, a Snowy Owl’s clutch size averages 3¬–5. When food is plentiful, it’s 7–11. We get “invasions” when food and production of young owls are abundant, such as in 2013. 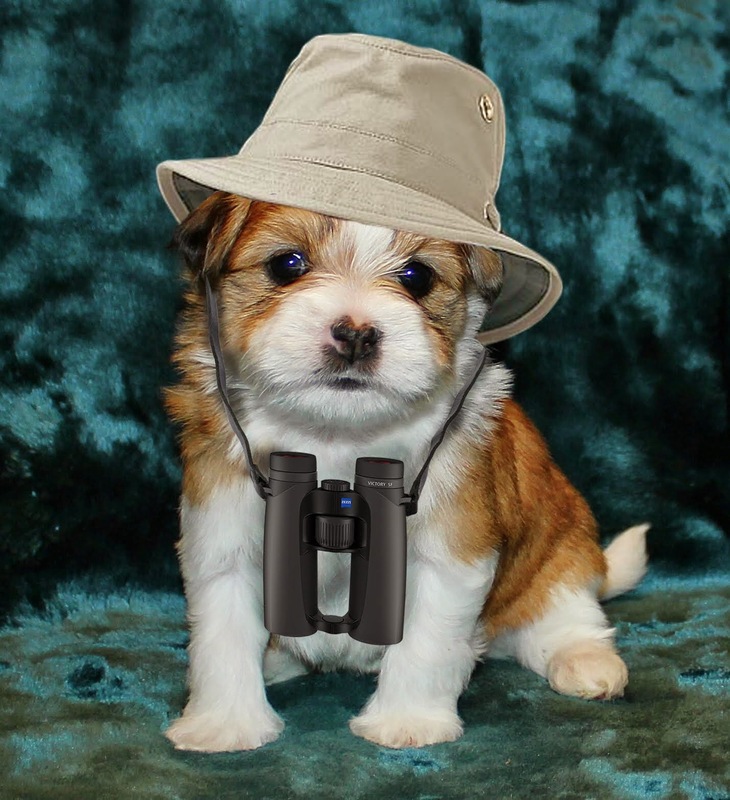 In those years, many or most of the birds seen by birders are in fine fettle. 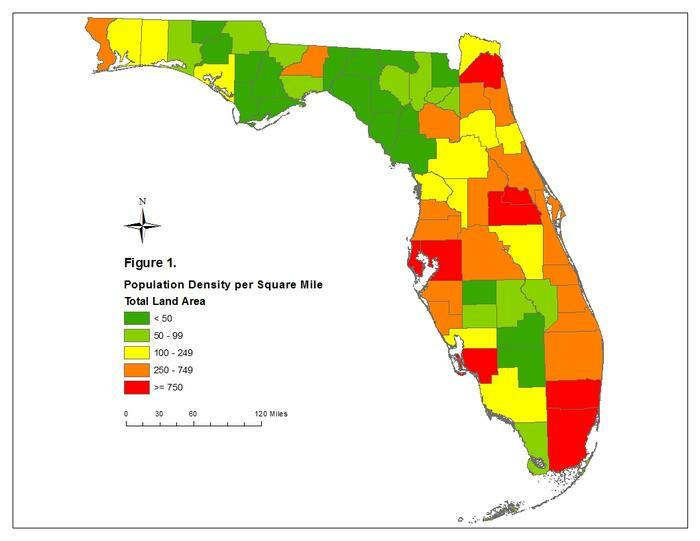 Young males in particular were probably driven south not by food needs but by territorial adults driving them out of their normal range. But we also get invasions in years after the lemming population crashes, while the Snowy Owl population is still near peak even with low reproduction, when some may indeed be driven south by hunger. That may be happening this year. And of course, in any kind of year, as field biologists such as David Evans, working the same winter areas year after year, decade after decade, have long known, some individual Snowy Owls migrate to the same wintering areas regularly. Understanding Snowy Owl movements is also complicated by simple geography. Birds found along the eastern seaboard may have moved a thousand miles or more along fairly open, tundra-like habitat, while those arriving in the Midwest may have crossed a thousand miles of dense boreal forest—an inhospitable habitat for a species adapted to hunting in open country. So Snowy Owls make for one complicated elephant! Science is supposed to be about amassing as much information as possible to provide comprehensive and nuanced answers to our questions, not about limiting what questions we're allowed to ask or limiting how we answer them based on what one group of scientists wants to focus on. Some field biologists do stay abreast of what rehabbers are encountering, but many don’t, and some are disturbingly patronizing or even insulting to rehabbers. That must end. It would be the natural impulse of someone who has spent the past two years handling healthy owls to say the owls going to rehabbers now must have been injured or exposed to pesticides to have reached an emaciated state, and are not truly “starving.” But rehabbers do necropsies, and do not report “starvation” as a cause of death in even a severely emaciated bird if any evidence of a precipitating cause is found. This year, rehabbers are experiencing a different phenomenon than in the past two years. Figuring out the complexity—looking at lemming populations and gathering other data about what's happening on the tundra for example—rather than digging in heels about preliminary findings of what is so far a short-term, 2-season research project, should be our goal. When Project SNOWstorm was inaugurated and so successful in tracking birds, it was news to a lot of people that many of the birds trapped were healthy and plump to begin with and stayed so over the season. In getting the word out about this, their news that "Owls aren't starving!" has been as egregiously overstated or misinterpreted as the old myth that "Owls are starving!" 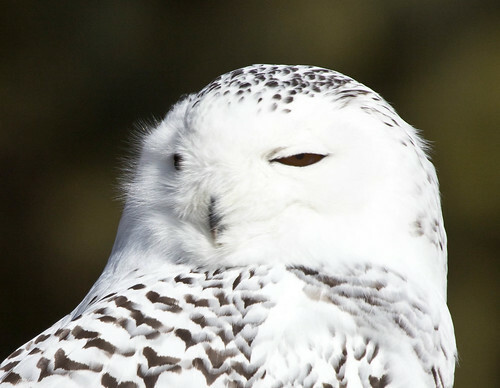 With this year’s early appearance of Snowy Owls, Project SNOWstorm has been hoping to get reports of birds that bear their GPS transmitters, and is also hoping to affix some devices to healthy birds to track. Meanwhile, rehabbers are handling unusually large numbers of severely emaciated birds. Just remember: Project SNOWstorm's job is to track healthy owls. REGI, Wildwoods, the Raptor Center, and other rehab facilities have the job of taking care of the owls that aren't doing well. 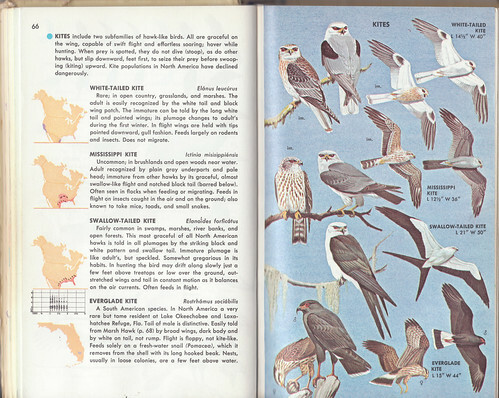 Those of us who are concerned about the birds and interested in their basic natural history should be thrilled to be getting information from both avenues of discovery. Using data from ALL professional researchers dealing with Snowy Owls, including field biologists and banders here and on their breeding grounds, scientists associated with Project SNOWstorm, and rehabbers, we will eventually tease out what Snowy Owl movements are all about. For those of us who love working out complicated answers to complex puzzles, this is good news. For those who love sound bytes or have an emotional response against bird research in one form or another, this isn’t such good news. Writing click bait headlines on internet sites (Owls are starving! Owls aren’t starving!) is a profoundly anti-science impulse—something all of us who trust science and want complete answers to our questions should firmly squelch. Last month, a catbird alighted on my dog Pip’s back, totally freaking out the little puppy. Lots of people thought the hilarity stemmed from the fact that it was a catbird landing on a dog—something that oddly enough hadn’t even occurred to me. I thought the funny thing was that Pip’s ears shot straight up for a moment, like the stereotypical surprised dog in old movies. My friend Lisa Johnson, one of the people who instantly latched onto the dog vs. cat(bird) concept, took a little camping trip up the shore a ways a week or so ago, where she and her own dog had an encounter with two birds, but instead of the birds getting a literal rise out of her dog, they made off with his dog food. Gray Jays always figure anything on their home range belongs to them, so they assumed the kibble was intended for them. They stuffed their beaks full, carried off their plunder, and came back for more. She speculates that they must be like dogs, to eat so much dog food. 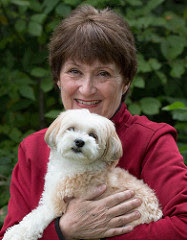 Lisa is a dog person so naturally wanted to figure out which breed the jays were most like. 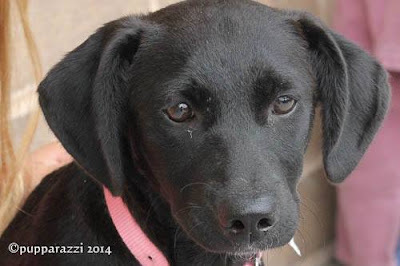 She noticed that their saliva coated the kibble in the same way that a black lab's saliva coats tennis balls. 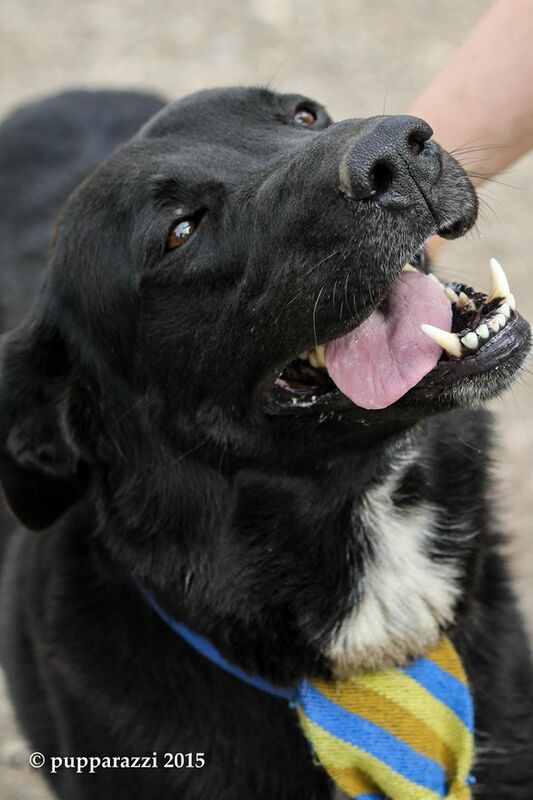 Dogs, of course, aren’t adapted for water conservation in the same way that birds are—a panting Black Lab can leave an unwanted supply of mucus on our lap when the dog’s just trying to be friendly. 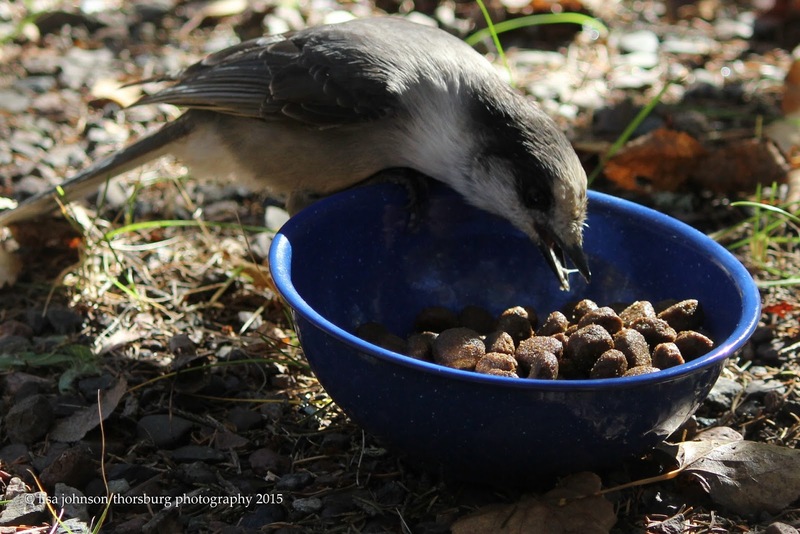 Gray Jays would never do such a thing—birds keep their bodily fluids inside their body where they belong (well, except when they have a purpose in getting rid of them, as anyone who stands beneath flying gulls or pigeons quickly learns). If a bird must pant, it sensibly engages in what is called gular fluttering, vibrating its throat where fluids that evaporate to cool it can re-collect rather than being lost outside the body. Yet Lisa’s observation that the jays were coating their kibbles with saliva was accurate, and she took photos to prove the case. What’s the value of coating food with mucus? 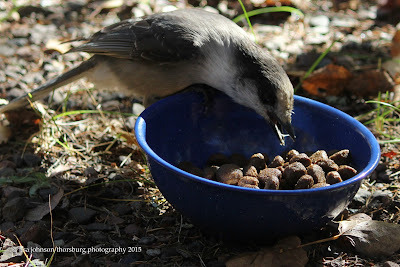 This is the time of year when Gray Jays are most focused on collecting food, including whatever fresh meat they can find. They eat some of it right away, but store a lot until their nesting season, which begins by early March even in the coldest parts of their range. The saliva works as a preservative, keeping the food edible even during normal brief winter thaws. Interestingly, there’s no evidence that a black lab’s saliva-encrusted tennis balls ever decay, either. 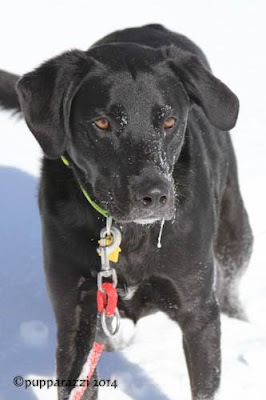 Black Labs are great retrievers in the sense that they bring back those saliva-encrusted tennis balls as well as game birds; Gray Jays retrieve the saliva-coated food items they’ve stored away with accuracy levels that could top any dog in a field-trial. 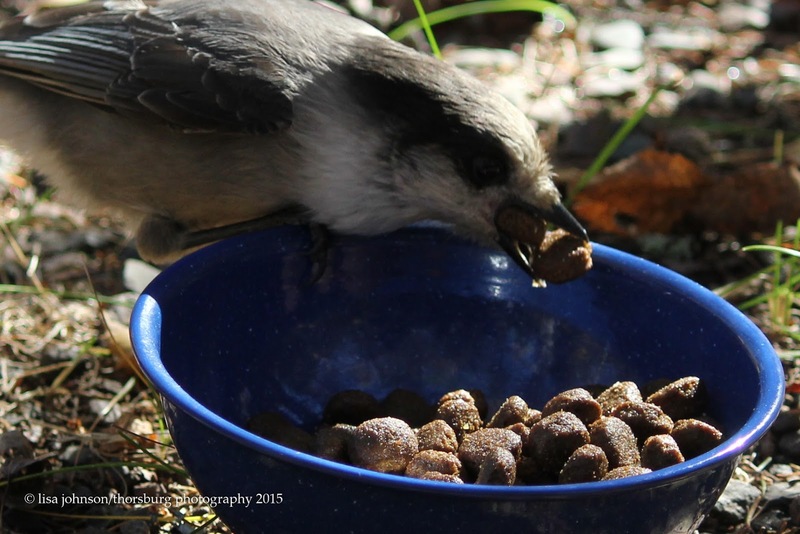 Gray Jays and Black Labs share some other important traits, including intelligence. They both look extremely agreeable and are indeed sweet natured with their families, but both are also strong-willed and independent. They're both hardy in cold weather, and both like eating dog food, cheese, meat, and peanut butter. 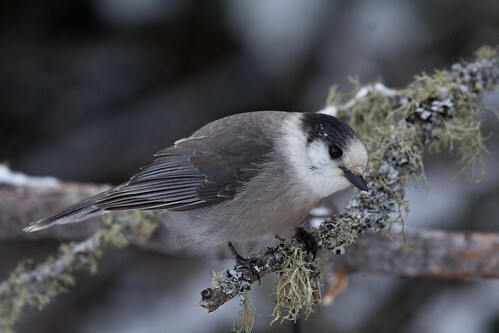 Baby Gray Jays are solid sooty gray, almost as dark as black labs, and in both species, males are larger than females. 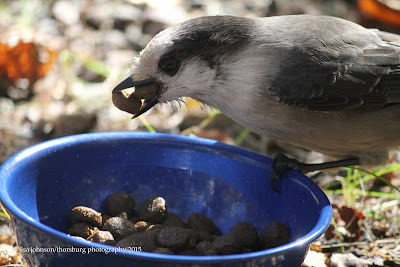 Of course, Gray Jays aren’t exactly like black labs with wings. While a black lab male can weigh up to 75 pounds, a male Gray Jay averages only 75 grams: little more than 2 ½ ounces. That means that one black lab would balance 454 Gray Jays, which is a lot of jays. 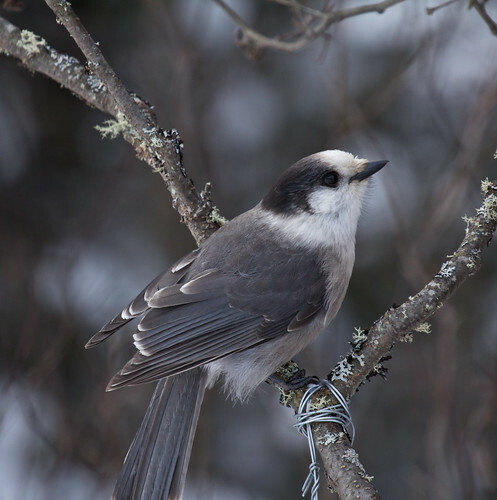 Gray Jays don’t bark—on the contrary, they’re exceptionally quiet. 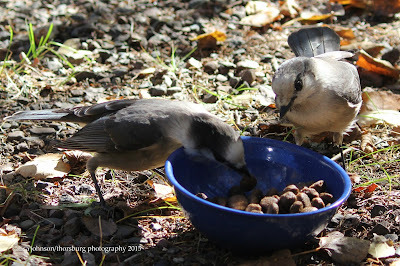 Both species get food from people, but while black labs play the role of subservient pets, Gray Jays live up to their reputation as “camp robbers.” Even when one takes food directly from a person’s hand, it’s as wary and cautious as the Artful Dodger, and instantly bolts if the person makes any untoward movement or sound. We may feel, on an outdoor adventure with our dog, like we’ve made friends with the local Gray Jays, but when we go home, it’s the dog, never the jays, who happily follows along. We humans and our dogs may visit the world of Gray Jays, but their proprietary attitude toward everything on it, including our food and our dogs’ kibble, makes it clear that we’re the ones trespassing. Gray Jays never forget that the wild world belongs to them, not us. Scarlett O’Hara in Gone with the Wind; Miss Elizabeth Bennett in Pride and Prejudice; Anne Shirley of Anne of Green Gables. Literature is filled with stories of women who spent years in friendly or not-so-friendly relationships with a man before suddenly realizing that they were actually deeply in love with him. In a very little way, I’ve experienced that same scenario in my own life. Not with a man, of course—I’ve been in love with my husband pretty much since our high school freshman registration day—but with a bird. No species could supplant the chickadee in my heart, but this fall, I suddenly realized I was head over heels with an extremely common, not-very-colorful bird that I’d seen or heard, at least subconsciously, on probably a majority of my late spring and summer days since I started birding in 1975, and probably throughout my childhood as well—the Red-eyed Vireo. This is the very species that Roger Tory Peterson once estimated to be the most abundant songbird in North America. Decades later, plenty of other birds outnumber them, but being a forest generalist, their overall population is still estimated to be about 48 million in the US and 80 million in Canada—well over 3 times the number of Black-capped Chickadees estimated to live here. Red-eyed Vireos live in pretty much the same habitat as Black-capped Chickadees, but being Neotropical migrants that winter all the way down in the Amazon Basin east of the Andes in South America, they don’t need to compete for scarce resources during frigid northern winters, so the vireos can considerably outnumber chickadees. Black-capped Chickadees are estimated to number about 19 million in the United States—only about 2/5 the number of Red-eyed Vireos here. 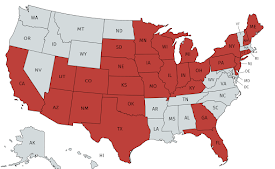 Of course, Black-capped Chickadees don’t nest in the southeastern states where they’re supplanted by Carolina Chickadees, but even in Canada, where the chickadee range is slightly more extensive than the vireo range, the Red-eyed Vireo population is four times that of the chickadees. The vireos simply just know when to get out of Dodge each year. 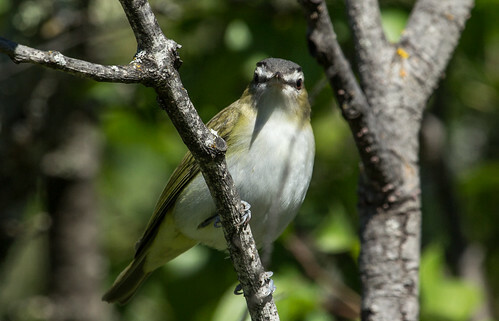 Pretty much wherever there are forests in North America, except in a swath of the West, Red-eyed Vireos are common, and were even more abundant when I was a little girl. I grew up within the heart of their range, but had been alive for more than 23 years before I learned of their existence, and a few months older than that before I finally saw one, on June 30, 1975, when I was taking a field ornithology class at the Kellogg Biological Station outside Kalamazoo, Michigan. As I recall, we heard the song on a few class field trips before we actually saw one. Red-eyed Vireos are persistent singers, and are not particularly shy around people, but they are very deliberate in their movements and blend in with foliage, so seldom catch our eye unless we’re specifically searching for one. And in order to specifically search for one, we must first realize that they exist. Well, yeah--this is how Red-eyed Vireos usually look, if you don't stop to follow them for a while. 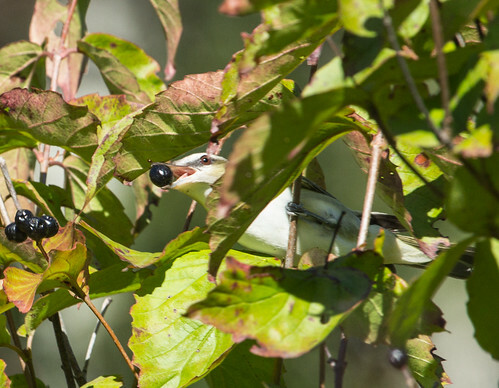 I didn’t get much of a look at my lifer—I saw his red eye, gray cap, dark eye line, greenish, unmarked back and wings, and white underside, but for just a few seconds before he retreated behind leaves. I had to keep up with my class, and on this busy day I added nine other lifers in addition to the vireo, including my very first American Kestrel, Belted Kingfisher, Ruby-throated Hummingbird, Eastern Bluebird, and Rose-breasted Grosbeak. All of them arrested my attention far more than a nondescript green bird camouflaged by leaves. 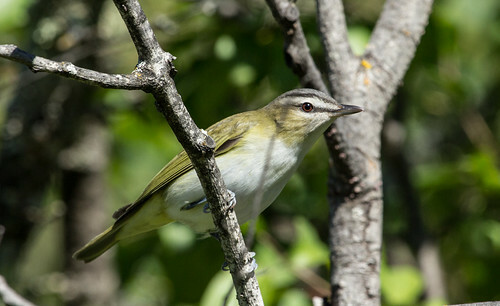 The Red-eyed Vireo’s song was easy to learn—it produces robin-like phrases, pausing between each, and is one of the few birds that sing persistently in the afternoon as well as early in the morning. By the next spring, with so much more experience at listening and looking, I got good at picking out Red-eyed Vireos in the trees. But right as they were arriving, a rainbow of far more brilliant warblers was also showing up. 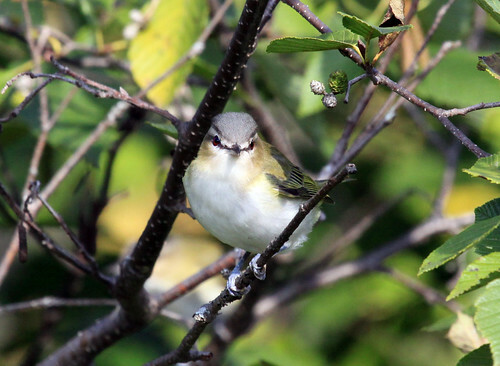 The vireos were very easy to take for granted. The first time I took special notice of Red-eyed Vireos was in the late 1980s when I was a wildlife rehabber; at the end of June, a woman brought me four nestlings. She had “rescued” them after a storm over a week before. She fed them nothing but canned dog food, which got smeared all over their faces, heads, and bodies—one chick's eye was entirely covered up—and she never even tried to clean them, so when I got them, their bodies were encased in dried, crusted dog food as immobilizing as a plaster cast, which had stunted the growth of their heads and bodies at the very time during their development when they should have been growing rapidly. The tiny hook at the tip of the bill told me they were vireos, but it took hours of painstaking bathing to get their feathers cleaned up enough to figure out which species. I gave them a very nutritious diet and a lot of attention, but the poor things didn’t have a chance. The woman told me when she dropped them off that she knew they were doomed from the start, but wanted her children to “appreciate the miracle of baby birds.” She spared her kids the ordeal of watching those miraculous baby birds die, reserving that for my children and me. For a long time, the very thought of Red-eyed Vireos brought that horrible woman to mind. Small wonder the species was not on my favorites list, though obviously through no fault of its own. 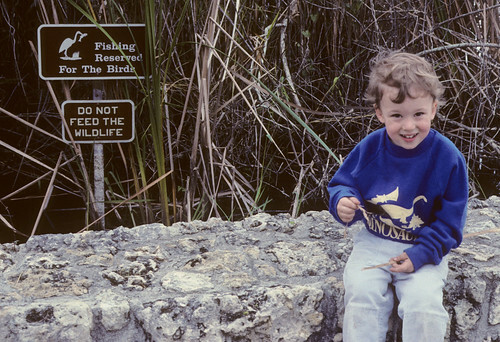 About that same time, I started out-and-out resenting some individual adult Red-eyed Vireos, because they mercilessly harassed my education Blue Jay, Sneakers. Every June, I taught an Elderhostel class on Burntside Lake outside Ely and brought Sneakers along. Because she was a licensed education bird, I was not permitted to let her fly free outdoors, but I’d sometimes let her sit out in her cage to get a bit of fresh air and sunshine. Unfortunately, there was nowhere I could bring her anywhere near Burntside Lake where a Red-eyed Vireo didn’t instantly take notice. The moment I’d walk away from the cage, a vireo would fly in, scolding her non-stop, alighting on the cage and trying to reach in to bite my poor little jay. The vireo’s scolding notes would alarm the rest of the neighborhood, and soon half a dozen warblers and a robin or two would join in. Bird banders told me that when they empty their nets, they can never, ever place a vireo in the same bag with any other bird—within minutes, the other bird will be dead. 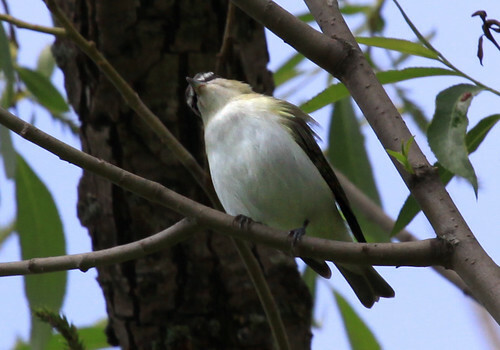 The hook on a vireo’s bill is every bit as lethal a weapon as the similar hook on a shrike’s bill. 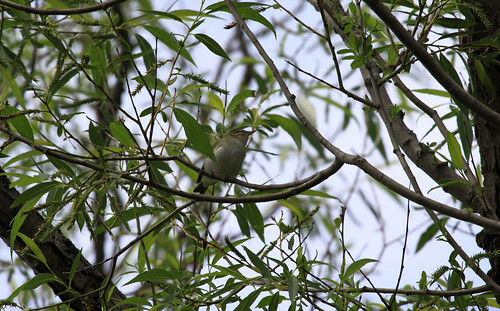 Small wonder that vireos and shrikes are placed next to each other in current taxonomic systems. So I was as prejudiced against Red-eyed Vireos as ever Miss Elizabeth Bennett was against Mr. Darcy. But as I said at the start, I ended up falling in love with this avian Mr. Darcy in spite of myself. How on earth did that ever come about? 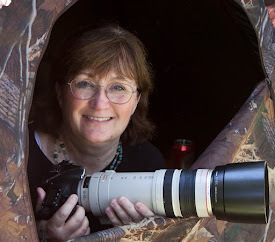 When I worked full time as science editor at the Cornell Lab of Ornithology, I finally had a bit of discretionary income, and in 2009, bought a digital camera and long lens. Ever since then, I've gone a little nuts taking pictures of birds. That fall, Russ and I took a little walk on the Western Waterfront Trail in Duluth, and a shockingly cooperative Red-eyed Vireo came out and posed for me, giving me some of the best photos of any bird that I'd ever taken. The best picture of all showed every important feature of the bird in perfect light. Never before had I really noticed just how handsome they are. Trying to amass a good collection of bird photos, my camera forced me to pay closer attention to birds, individually and by species, than I'd been doing. I could clearly see that some Red-eyed Vireos have a more brilliant red eye than others. That is a matter of individual variation with no ornithological explanation. 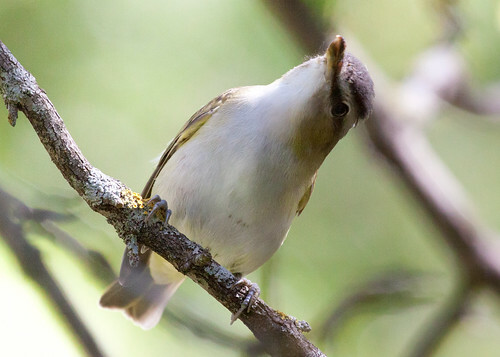 Studying those photos was also when I started realizing that Red-eyed Vireos aren't just handsome: they're rather curious. Of course they had to be—as I noted, they were always the first to notice when I put out a cage with my Blue Jay Sneakers. Now as I looked through my photos, I discovered that a great many of the vireos were looking directly at me. That was fun to realize. Somehow it's hard not to take an interest in any animal that takes a particular interest in you, or at least notices your existence. I don't know if it's a matter of making eye contact or what, but soon I was reading more about Red-eyed Vireos. And the more I learned about them, the less they lived up to the old adage about familiarity breeding contempt—indeed, it turns out that to know Red-eyed Vireos is to love them, at least for me. That was also true for another woman, Louise de Kiriline Lawrence, the nurse who raised the world-famous Dionne Quintuplets during their first year. 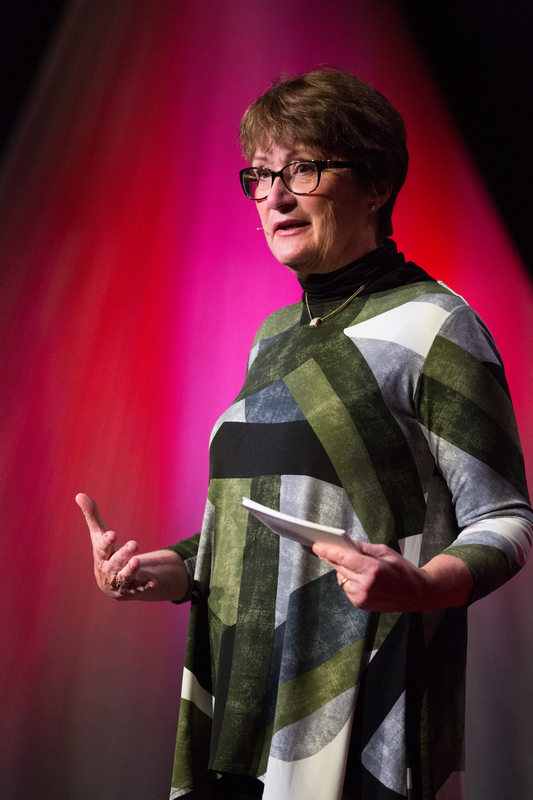 After that year of service, she moved to northern Ontario, where she became a naturalist and Audubon magazine's most prolific writer. On May 27, 1952, she went outside at 3:00 am and waited in the dark. One by one, various birds started singing, and at 4:22, her Red-eyed Vireo piped in. That was what Lawrence was waiting for. She kept careful count of each song he produced. He was up to 1,700 songs by 5 am, and by 6 am he'd sung another 2,155. She followed the little guy for 14 hours, until he went to his roost for the night. 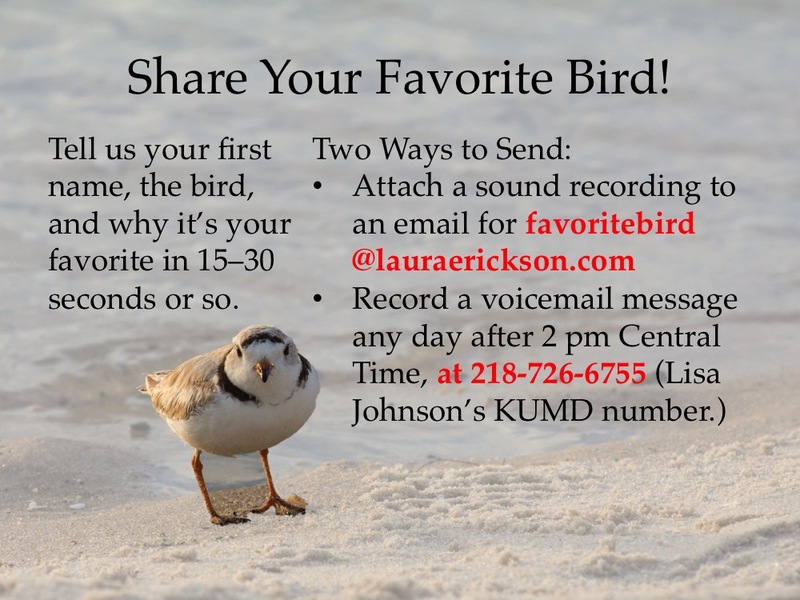 He was searching for a mate, feeding, preening, and doing all the other things a little bird must do to stay alive in the north woods, but he spent 10 full hours singing, and Lawrence counted every one of the 22,197 songs the little bird produced that day. Both the vireo and Louise de Kiriline Lawrence herself appealed to one of my favorite ornithologists on the planet, Donald Kroodsma, who devoted a section of his fantastic book, The Singing Life of Birds, to the vireo and recounting Lawrence's story. He has dreams of one day breaking her record by counting the songs of a Red-eyed Vireo in the Northwest Territories, where day length is about 5 hours longer. He is feeding, picking up insects from the leaves all about him, singing as he goes, in short, hurried phrases that do not interrupt his continual search for food. Hour after hour, day after day, he sings from our woodlands, from the trees on the shore of our streams, and from the tall elms along the streets of our towns and villages—like a happy, laborer, whistling at his work. William Forbush wrote in A Natural History of American Birds of Eastern and Central North America, "He sings as a matter of course, with little apparent exertion, almost unconsciously, thus expending his pent-up energy in a most pleasing and cheerful manner." I think ... that a young male largely makes his songs up, inventing and improvising his songs early in life (perhaps like the sedge wren), occasionally mimicking the songs of another bird. No one knows, but I know how I could find out, by raising a few babies in my home and studying how they acquire their songs when I control exactly what they hear. Yes, I could do that, but for now I'll be content to just wonder. The nest is a beautifully finished piece of workmanship, constructed of fine grasses and rootlets, bits of birch bark, and paper from wasps' nests bound together and to the supporting branches with spider's or caterpillar's webbing, and, perhaps the most constant material, long, narrow, flexible strands of grapevine bark, which help to hold up the cup of the nest. It may be ornamented on the outside with bits of lichen. During the nesting season some are quite pugnacious. They will attack almost any bird that ventures too close to a nesting tree. The little bird will drop like a stone almost at the head of the culprit. During the nesting season of the pileated woodpecker, when the big birds fl[y] low and silently, like phantoms between the tree trunks and decaying stumps, I have seen this vireo strike the big bird with such force that it nearly lost its balance, looked and acted surprised—and flew away. When the eggs are hatched, the parents are very attentive in their care ... During a tempest, accompanied by torrential rains, a male Red-eyed Vireo was seen to join his mate on the nest, and there the devoted pair sat side by side in that driving, tempestuous downpour, sheltering the tender young beneath their wings. Forbush mentions the Blue Jay as one of "the chief enemies of the vireos." Understanding how that pugnaciousness is in service of protecting their nest and young put my poor Blue Jay Sneakers's ordeals with Red-eyed Vireos into perspective. A moment later she confirmed her own opinion by taking another ant's egg in the same way, after which I quietly withdrew, leaving her to digest both her food and her strange experience. Many people were introduced ... and children especially experienced ecstatic joy at the privilege of feeding and stroking a wild bird in her own home. So I'm obviously not alone in finding that getting to know this bird better fosters affection. Although many people who pay attention to Red-eyed Vireos come to love them, that doesn't apply to everyone. Just as it was unlikely that Elizabeth Bennett's mother would ever warm up to Darcy, some people who spend a lifetime researching Red-eyed Vireos don't seem to appreciate them at all. Because my own feelings about Red-eyed Vireos have run the gamut, from ignorance to apathy to annoyance and then, at long last, to love, I can at least sort of understand other people's negative opinions of this species, even if I don't share them. 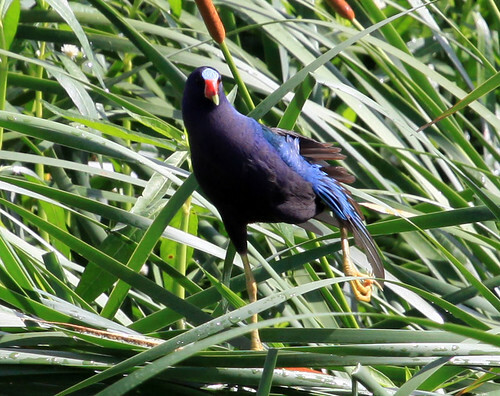 Deliberately and carefully he scans leaf and twig, searching out protectively colored insects which some other bird might pass unnoticed, but never he. It is astonishing to see him detect and capture caterpillar after caterpillar where the human eye fails to discern them. Caterpillar hunting, not singing, is his serious business. Rarely some flying insects tempts him to leave his perch, and he launches forth and captures the fleeing creature with all the address of a flycatcher. 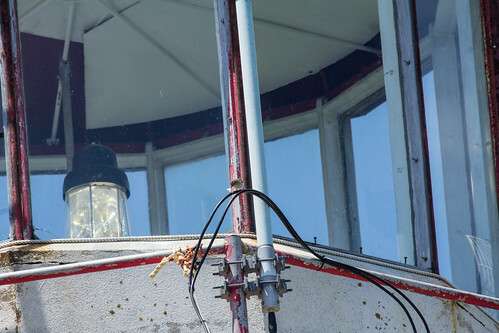 When I took a boat to Machias Seal Island during my Big Year, I got to watch one actively plucking insects from spider webs and crevices on the lighthouse. By late July, after the young have fledged and birds are gearing up for fall migration, they start incorporating lots of fruit into that diet. In South America for the winter, they'll continue eating mostly fruit. 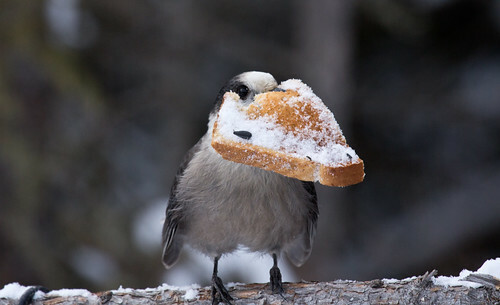 That high-fruit diet helps birds put on fat. In fall when they're captured along the Gulf Coast, on average more than 25 percent of their body weight is fat. In spring, after arriving on the Gulf Coast, barely 8 percent of their body weight is fat, and many are far more depleted than that. In fall, the individuals with the highest fat reserves orient south, to migrate over the vast expanse of water. Those with less fat orient north or west, making them more likely to make the night's flight over land—a much longer trip but with food certain to be available first thing in the morning. Pigging out on berries brings the birds down to eye level for feeding, giving us wonderful photo ops. Some fruiting shrubs in the back of my yard gave me abundant opportunities to watch and photograph several this fall. It was when looking at some of these photos that I realized just how much my affection for these birds had ripened into true love. 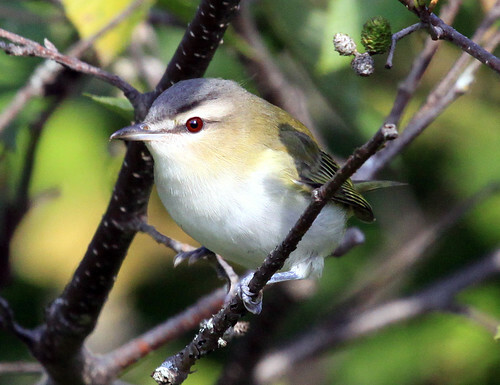 But for me, loving Red-eyed Vireos meant that I started worrying about them. Migration is treacherous. Red-eyed Vireos are killed in large numbers at lighted tall structures such as high rises and communications towers, and even in the day they are one of the birds that often hit our house windows. The migration of Sharp-shinned Hawks and Merlins is fueled by tiny songbirds like Red-eyed Vireos. It's a jungle out there long before they hit the actual tropical jungles with snakes and poisonous insects and other new hazards. 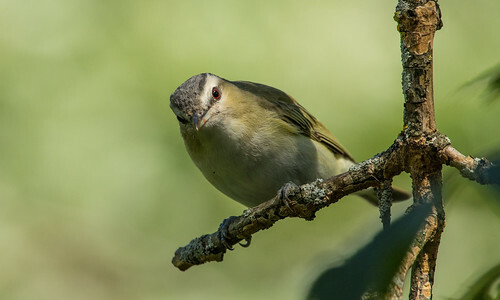 Yet despite all the dangers, there have been two reports of banded Red-eyed Vireos surviving over 10 years in the wild. One first-year bird banded in Michigan in August 1997 was recaptured and released in Michigan in August 2007 when it was 10 years and 2 months old. An adult banded in Maryland in June 2003 was recaptured alive and released in May 2013. That bird was a minimum of 10 years 11 months, and because its age was unknown when it was first captured, could have been a year or more older than that. These birds that weigh just half an ounce had each traveled ten times—entirely on their own power, with no support teams or rooting fans, no back-up plan or judges to call the race if the weather turned bad, no medical support tents along the way—all the way from their home state to South America, and after wintering there, made the return journey another 10 times, yet were still going strong. Few birds sing during the winter, including this persistent vocalist. 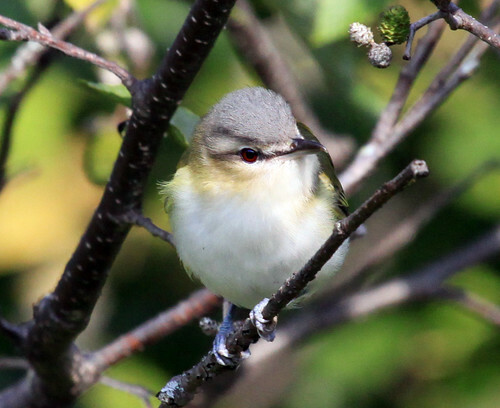 During migration and on their wintering grounds, Red-eyed Vireos give their whiny call, but apparently don't start singing in spring until they reach Gulf Coast barrier islands. Soon they'll be on their home territories again, singing tens of thousands of songs each day in their endless quest to ensure that this little planet has an endless supply of Red-eyed Vireos for those of us in the know to love or, in the case of a few sourpusses who resist their charms, to disparage.